Bollywood is synonymous with link ups and relationships, don’t you agree? We are living in the age of social media and stars have to be extra careful what they put in the public domain. Actress Janhvi Kapoor has had a brilliant past 12 months or so and her debut film ‘Dhadak’ has catapulted her into instant stardom. Janhvi’s name has also been linked with Ishaan Khatter ever since they were working together in ‘Dhadak’. 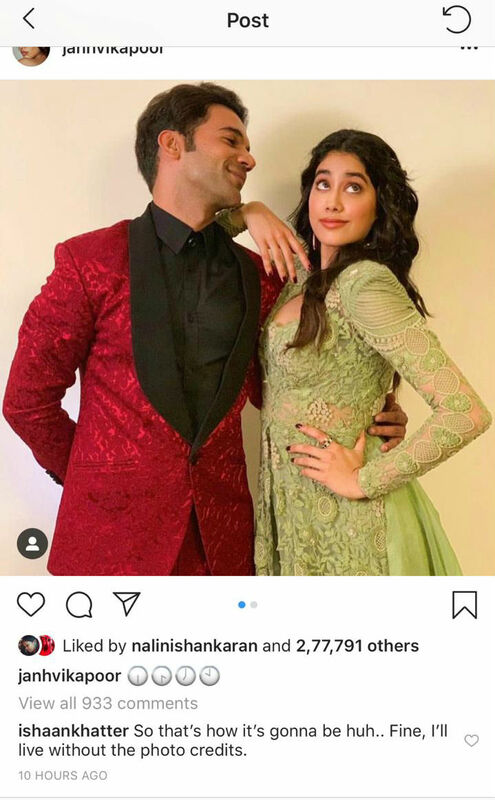 Recently, the lovely and gorgeous Janhvi Kapoor took it to her social media handle and shared a couple of photos with Rajkummar Rao. Both the stars had a cute smile on their faces as they posed for the pictures. It seems, Ishaan had his own issues. Ishaan Khatter decided to reply to the said picture and wrote “So that’s how it’s gonna be huh.. Fine, I’ll live without the photo credits.” Well, clearly the diva forgot to give the due credits to Ishaan and he wanted to bring it up. However, Janhjvi too replied and said: “okie since you’re insisting”. 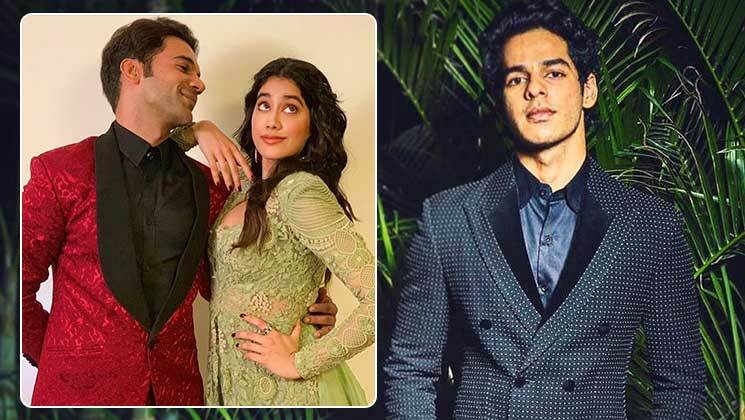 Isn’t this banter between Ishaan Khatter and Janhvi Kapoor hilarious? The duo share a great camaraderie and are always pulling each others’ leg. Meanwhile, on the work front, Janhvi will next be seen in Gunjan Saxena’s biopic ‘Kargil Girl’. She also has the period drama ‘Takht’ in her kitty. The movie, that is based in the Mughal era and its dynasty. This historical drama also features Kareena Kapoor, Anil Kapoor, Ranveer Singh, Bhumi Pednekar and Vicky Kaushal.